Based in the Alsace region, the company employs 120 workers who combine their expertise and agility to offer you quality timepieces at an affordable price. Designed by a team of experienced creators, the men’s and women’s watch collections move with the times and offer modern, contemporary models that associate precision, with refinement and elegance. 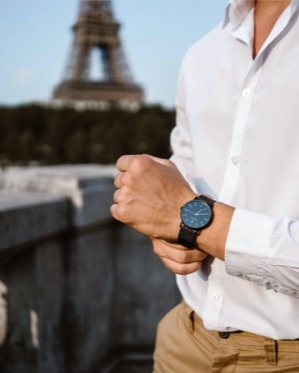 As a gift or for your personal pleasure, the Pierre Lannier watch is always there for every exceptional moment and adds the perfect touch to all your looks and outfits. Don’t wait any longer and discover our latest WEEK-END and ELEGANCE watch collections. Symbols of glamour, which combine chic, elegance and discretion. Created by Béatrice and Jean-Paul Burgun, and developed on the philosophy of quality, passion, creativity and proximity. Currently led by Pierre Burgun, the brand is still true to its founding principles and evolves with the times to continually offer up-to-date models that underline one’s personality with elegance. Located in the heart of the French Alsace region the company has evolved over the past four decades and employs 120 fulltime employees. In order to ensure the best satisfaction of consumer demands, a team of creators and stylists, based in France, are always conceptualizing new models and assuring a continuous renewal of products which are always in line with the trends. Whether your style is classic, chic, elegant or resolutely trendy and urban, everyone will find their favourite among the Pierre Lannier collections. More than 600,000 watches are sold every year, thanks to an ambitious expansion and development strategy . 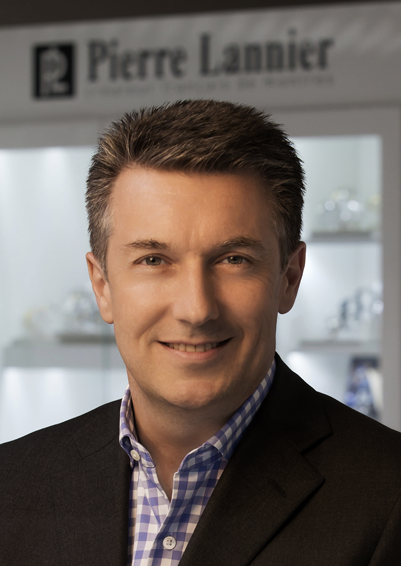 Pierre Lannier also exports watches to more than 60 countries on 5 continents and has attended Baselworld, the key international meeting point of the worldwide industry brands and distributors, for the last 30 years. It is certain that the brand continues to gain momentum with a strong growth in France and around the world. Pierre Lannier is a label that aims to promote the Alsace region, its values and its identity. The brand is also a partner of the SIG, Strasbourg’s basketball team, and the official watchmaker to the French national basketball team. Furthermore, every year, FFBB watch models (for French Basketball Federation) are produced in limited editions and gifted to the French team players. A synonym of creativity, elegance and innovation at the same time, the Pierre Lannier brand has a wide diversity of collections with fine and original designs that are resolutely in keeping with the trends. They enhance the wrist and put the final touch to every outfit.